Shaping lives through theatre education. 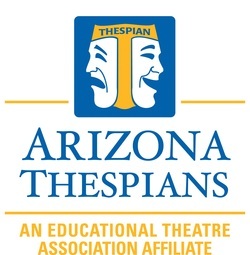 The official hotel of the Arizona Thespian Festival is the Hyatt downtown Phoenix. Sponsors please refer to your Troupe Director Festival Guidebook for pricing. Presenters and schools, reservations are made via your registration link. The Light Rail now goes between the airport to downtown Phoenix about ½ block from the hotel. Please go to valleymetro.org to “plan” your trip. The Sky Tram departs from Terminals 3 & 4 so you may need to ride this to get to the Light Rail. The stop on the light rail at the airport is 44th St. and Washington. Your downtown stop will be Washington & 3rd St. We will be reimbursing only those who choose to “ride the rails” and no longer for cabs, Uber or shuttles.